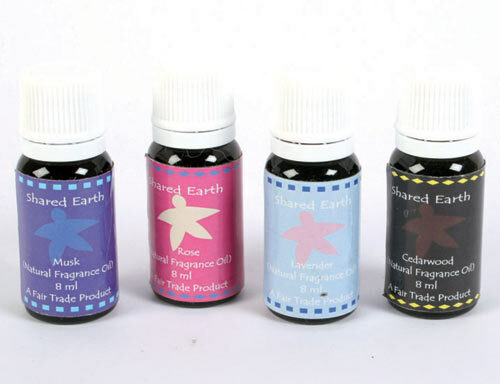 Our fragrance oils are synthetic blend of the highest quality. They’re absolutely perfect for using in oilburners and as they’re quite strong for fragrance oils, you only need a few drops in the water before the aroma reaches out. Absolutely perfect on their own, or you can mix them up and create your own blend. You won’t be disappointed. Alternatively you can always add a few drops to potpourri. Fragrance oils are not suitable for the skin. Sales of this oil directly helps more than 45 artisans, mostly women, from the surrounding villages of the workshop in working towards their principle goal of improving the lives of the less privileged rural youth of their villages. They do this by teaching them and helping them to create beautiful, simple but importantly useful handicrafts in order to become self reliant. This is a key factor in the promotion and sustainability of the rural communities in India to prevent further migration into the already crowded cities.